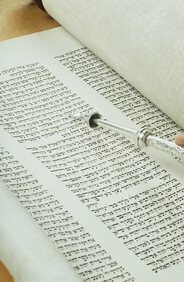 Until about two hundred years ago, the vast majority of Jews observed the Torah and the commandments in entirety. Jewry's leaders were Torah scholars, who directed the people according to the Torah. They were loyal citizens in the host nations where they dwelled and to the local laws. They prayed for the welfare of their respective governments. To our sorrow, at that time a small number of Jews slowly left their observance of Torah and commandments. Together with this, they began to deride the spiritual leadership of their people. This assimilation was the basis upon which, one hundred years ago, the ideology of Zionism was born. Its founders were assimilated Jews who had abandoned the Torah. Immediately at the founding of the Zionist movement, masses of Jews under the leadership of their Rabbis, launched a heavy battle against Zionism. Their attack was directed not only at the non-religious Zionist idea, but rather, primarily at its opposition to the Torah-ordained path that Jewry must follow while in exile. As such, the Zionists incited the nations of the world, demanding political sovereignty over the Holy Land while remaining oblivious to the resentment this would arouse In the Palestinian Arabs, the land's veteran inhabitants. As stated, the leaders of Orthodox Jewry vehemently opposed the movement with all force. The Zionists refused to heed the voice of the Rabbis and Torah authority. They persisted in their ways until they succeeded in influencing the British government to issue the Balfour Declaration concerning the "establishment of a national home for the Jews in the land of Israel." To our great sorrow, from that point on began the deterioration of the good relations between the Jews and the Arab inhabitants of the land. This occurred because the Arab people understood that the Zionists wished to seize rulership from them. In addition, the Arab people had suspicions as if the Jewish people wished to seize control of the Temple Mount and other similar sites. Matters worsened as a result. The Jewish leadership of that time saw it as proper to clarify before the Arab leaders that the Torah-true Jews had no desire whatsoever for sovereignty, and that our desire was to continue to live in peace with the Arabs, as we had always done. 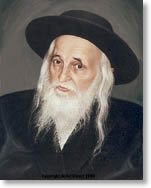 The leader of the G-d-fearing Jewish community at that time, Rabbi Yoseph Chaim Zonnenfeld. of blessed memory, organized a delegation in July of 24' which visited King Hussein and his sons Faisal the King of Iraq and the Amir Abdullah In order to lucidly present to them the position of the G-d-fearing Jewish community. The Jewish delegation clarified unequivocally that Torah Jewry is totally opposed to the Zionist sovereignty over the Holy Land. It Is worth noting that the delegation was received with great honor. They were even assured that all Arab lands were completely open to Jews, however, on the condition that the Jews do not demand political rights. This condition also applied to the Holy Land. One of the members of the Jewish delegation, Professor Yisroel Yaakov De Haan, paid with his life for his participation. Torah Jewry protests at every opportunity against the Zionist rule over the Holy Land, and the Zionist rebellion against the neighboring nations. Torah Jewry has condemned the Zionist oppression of the Palestinians, the land's veteran inhabitants who have been driven from their homes and properties. The Zionists' barbaric and violent deeds are absolutely antithetical to the essence of the Jewish people. Torah Jewry has never ever recognized the Zionist state. Since the Zionists succeeding in establishing their state, Torah Jewry has continuously announced to the world that the Zionists do not represent the Jewish people, and that the name "Israel" that they use is a forgery. For as has been stated above, it is forbidden to us from the Torah to rebel against the nations, and all sovereignty by us is prohibited. Rather, we await the days when all the world will recognize the sovereignty of the Creator, and the words of the prophet Isaiah will yet be fulfilled: "And they will beat their swords into plowshares and their spears into pruning hooks. No nation will lift its sword against any other, nor will they learn warfare anymore." Anti-Zionist Orthodox Jews have refrained to this day from taking any funds from the Zionist regime, whether for their educational institutions, synagogues or other benefits. Obviously, they do not participate in the Zionist elections, whether for the "Knesset" or for the municipality. We do not serve in their army, and we even avoid speaking in the Hebrew language that the Zionists Invented. (incidentally, this is not the holy and true Hebrew language in which the Bible is written.) All this is done because Torah Jewry does not recognize the Zionist regime, which Is against the Torah and against humanity. Lately, the question has once again arisen concerning the Temple Mount and sovereignty over it. Thus, we wish to state unequivocally: a) In our time, it is a severe Torah prohibition for any Jew to set foot on any part of the Temple Mount area. b) The Jewish people have no claim whatsoever to sovereignty over this holy site, which is under Islamic authority, nor over any other holy site. Rabbi Zonenfeld was once asked, "is it true, that the Rabbi prefers an non-Jewish government over all of the Holy Land"? Rabbi Zonenfeld replied, "if King Hussein would rule over Palestine, the holiness of the Holy Land would not be diminished to even to an Iota degree". We yearningly await G-d's great day, when He will return His Divine Presence to Zion, restoring the holy city to its former holiness and glory as in days of old, to be a light to the peoples and the nations. The Zionists have no right of any sovereignty over even one inch of the Holy Land. They do not represent the Jewish people in any way whatsoever. They have no right to speak in the name of the Jewish people. Therefore, their words, declarations and actions are not in any way representative of the Jewish people. This is because the Zionists' seizing of power over the Holy Land is antithetical to Jewish law, and also because the Zionists do not behave like Jews at all rather, they desecrate the sanctity of the land.